Frame & Focus gorgeous townhome w/modern upgrades throughout. 3 Br, 2.5 Ba, 3rd story bonus loft/lounge is perfect for home office. 2 car attached garage, fenced patio yard & laundry room w/washer & dryer. Kitchen w/Gourmet Island, upgraded cabinets, quartz slab counters, stainless steel appliances & refrigerator. MBR w/walk-In closet & upgraded MBA. Other upgrades: wood laminate floors, upgraded carpet, quartz counters throughout, modern open rail stair system & custom window coverings. See Supplement Frame & Focus popular plan 3 featured Amenities: three zone A/C, upgraded cabinets in white/gray throughout, rain can shower head in master bathroom, epoxy garage floor, kitchen islands, tankess water heaters, vessel sink, interior glass sliding doors, modern fixtures and GE Stainless Steel appliances. Enjoy worry free resort style amenities that Civita master planned community offers including 14.3 acre park with water features, amphitheater, 2 Dog Parks, community gardens and walking trails. State of the art recreation center has a clubhouse, spectacular lagoon pool, lap pool, two spas, fitness club and multi-purpose room. 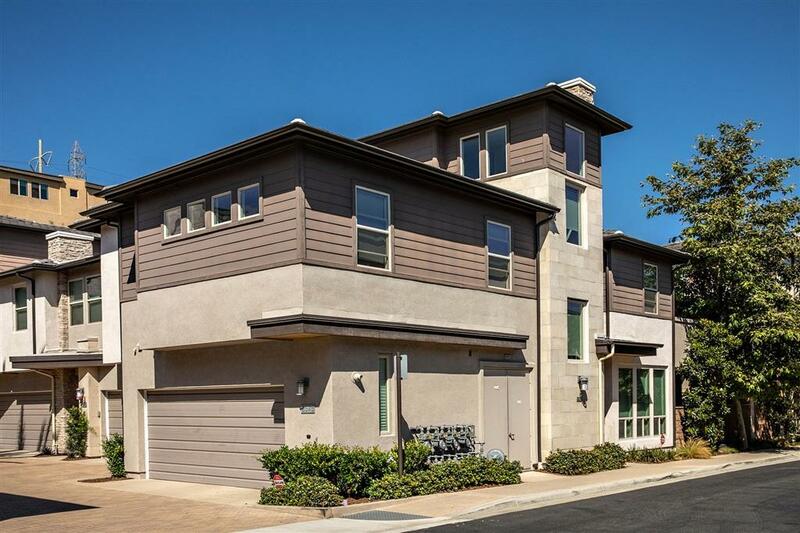 This upscale neighborhood in the Civita community is centrally located in Mission Valley with convenient access to freeways, the finest restaurants and shopping. A great location for commuters to anywhere in San Diego makes this gem is a must see.